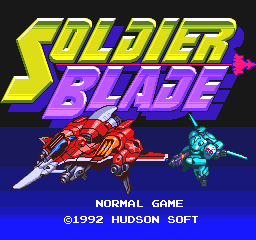 Soldier Blade is a vertically scrolling shooter released by Hudson Soft for the TurboGrafx-16 in 1992. 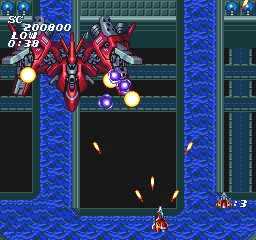 It is the fourth game in the Star Soldier series. The game has a pretty standard defeat the aliens story line but in a shooter like this, how much does the story really matter? 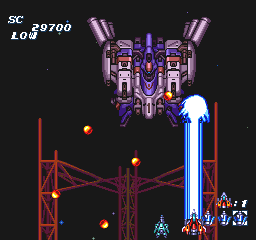 Game play is similar to other games in the series and other Hudson Soft shooters like Blazing Lazers. 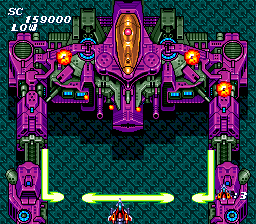 The weapon system is fairly unique but otherwise this is a pretty standard shooter. But why mess with a good thing? In general, it is very well done and you could certainly do worse when picking out a shooter. 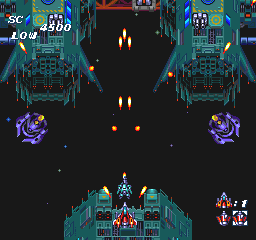 Game play may not vary greatly from other similar games but the specifics are different enough to make it worthwhile if you are a fan of the genre. 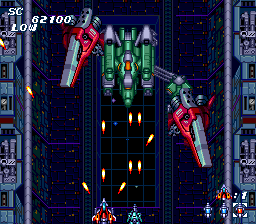 The TurboGrafx-16 had lots of good shooters, particularly when you add in Japanese only releases. I don’t know that this one particularly stands out but it is solid and fun to play. 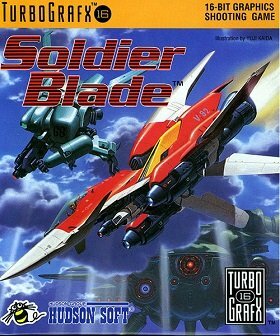 If you don’t have a TurboGrafx-16, this game is also available on the Wii’s Virtual Console, Wii U Virtual Console and the PlayStation Network. Check it out if you like shooters. The original isn’t terribly hard to find and you also have the various digital download options (or there is always emulation).